Fisheries Monitoring Division - MRAG Americas, Inc.
Observer and Electronic Monitoring (EM) programs are an integral part of sustainable fisheries management. MRAG has extensive experience in designing and running these programs around the world. Information collected by Observers and EM is used to understand fishing patterns and technologies, monitor the amount and disposition of catch and bycatch, assess the status and trends of fish stocks, record interactions with protected species, and predict the impacts of existing and proposed management actions. MRAG Americas attained certification to provide Industry Funded Scallop (IFS) Observers in 2018. The Scallop Fishery Management Plan is managed by the New England Fishery Management Council (NEFMC) and NMFS, requiring Observer coverage in scallop dredge and trawl fisheries. MRAG Americas has been a certified contractor for the NE At Sea Monitoring (ASM) Program, supplying Monitors to the government and private clients, since 2010. We have also been the Observer provider for the international Inter-America Tropical Tuna Commission’s (IATTC) Longline Transshipment Observer Program since 2008, covering more than 2,400 Observer days per year on foreign flagged tuna freezer carrier vessels in the Pacific Ocean. We have been a certified contractor for the Alaska Department of Fish and Game (ADF&G) Shellfish Observer Program since 2005. MRAG has experience with large programs, running the Northeast Fisheries Observer Program (NEFOP) from 2012 to 2018 and the US Pacific Islands (Hawaii Longline) Regional Observer Program from 2005 to 2008. MRAG also has experience designing and implementing small scale and season programs such as the Alaska Marine Mammal Observer Program, West Coast Trawl Catch Shares At-sea & Dockside Monitor Program, and AOLA Lobster Tagging Program. The role of EM in fisheries is expanding rapidly and MRAG is expanding with it. Advances in camera and battery technology have made EM systems more practical, cost effective and reliable. New developments in imaging software and video review technology are increasing EM capabilities and expanding the roles that EM can take on. MRAG is focused on partnering with multiple EM equipment suppliers to provide clients with a full service solution, including local video review and field support. Our vision is to train career observers to be field technicians, system installers and data reviewers for EM programs, streamlining the installation and calibration process. In the US, data collected by Observers are required under the Magnuson-Stevens Fishery Conservation and Management Act (MSA), the Endangered Species Act (ESA), the Marine Mammal Protection Act (MMPA), the National Environmental Policy Act (NEPA), the Regulatory Flexibility Act (RFA), Executive Order 12866 (EO 12866), and other applicable law. Many other countries have similar domestic requirements, and internationally all Regional Fisheries Management Organizations run Observer programs of various kinds. Our Fisheries Monitoring Division is used to support the conservation and management of living marine resources in US waters and around the world. 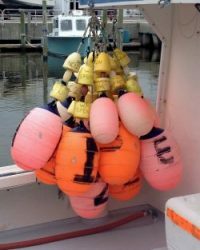 The Industry Funded Scallop (IFS) Program was initiated by the National Marine Fisheries Service (NMFS) in 2006, through a scallop total allowable catch and days-at-sea set aside program that helps vessel owners defray the cost of carrying an observer. MRAG Americas attained certification to provide IFS Observers in 2018. The Scallop Fishery Management Plan is managed by the New England Fishery Management Council (NEFMC) and NMFS. 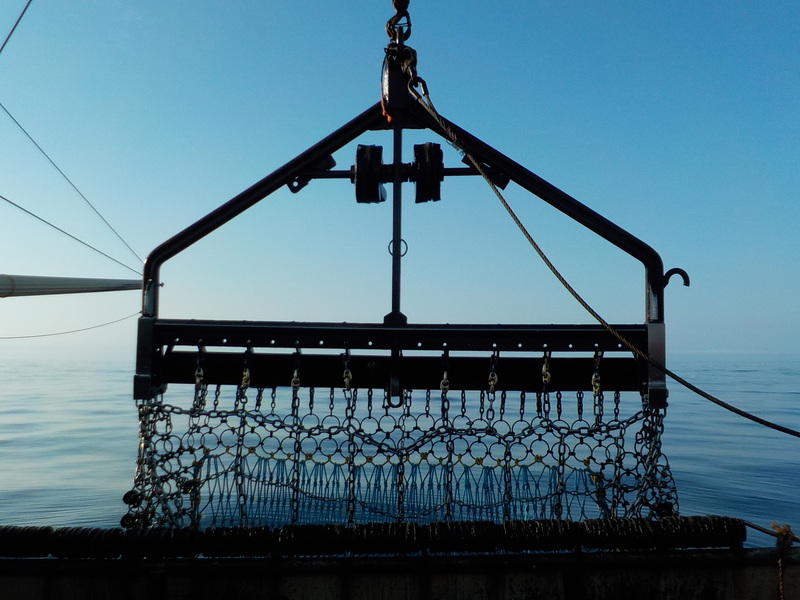 Observer coverage is required in the scallop fishery (dredge and trawl gears) to monitor the bycatch of finfish, collect biological information to inform stock assessments, and to monitor any interactions of the scallop fishery with endangered or threatened species. As an IFS contractor, MRAG provides Observers to scallop vessels based on a weekly selection process. Selected vessels contact contractors to arrange Observer coverage. 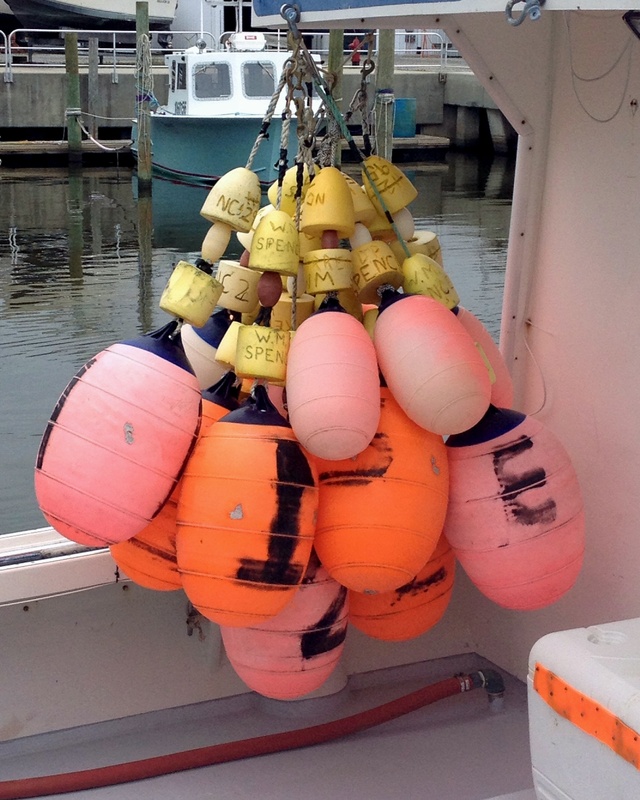 Commercial scallop vessels, when selected by NMFS, must call all certified contractors until they find an available Observer to provide coverage for the trip. MRAG bills vessel directly for Observer coverage. The Industry Funded Scallop Observers are deployed on trips to collect scientific data following NMFS protocols. IFS Observers collect a full suite of fishery dependent data to document total catch, discards, biological samples, interactions with protected species, as well as a host of economic variables. Observers collect catch data and measure lengths and take biological samples from priority species. Interactions with marine mammals, sea turtles, and birds are documented. Information on operating costs, gear, and fishing locations are also obtained. This information supports analyses used to develop and evaluate fishery stock condition, discard rates, and management measures. MRAG is looking for candidates with a background in the biological sciences and at-sea experience. Observer candidates must complete a two week training program in Falmouth, MA conducted by NOAA Fisheries, attaining an 85% grade or better. The class includes training on gear measurements, fish and incidental take identification, sampling protocols, catch estimation, conflict resolution and safety. Data is recorded on paper logs that are sent to NMFS for editing and entry. A brief trip summary is uploaded within 24 hours of landing. IFS Observers are deployed on vessels sailing from Maine to North Carolina. Scallop vessels range in length from 42’ to 120’ and fish either general category (day trips) or limited access permits (offshore trips). Trip duration’s vary from 1 day to 18 days. Work on deck may range from 6 to 12 hours depending on vessel operations. MRAG has an experienced team of management and support staff to provide logistical and lodging support for Observers. MRAG ensures Observers complete duties on vessels, completes data forms and uploaded data to NMFS within 48 hours of the trip landing. MRAG tracks hard copies of the data to verify they reach the program within 4 business days. MRAG works closely with NMFS to ensure Observers receive proper guidance, instruction, support, and have points of contact. The New England Fishery Management Council (NEFMC) created the NE Sector Program under Amendment 16 in 2010 to enhance rebuilding of depleted stocks in the Northeast fisheries. 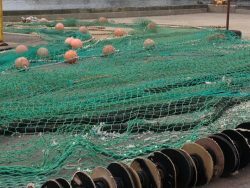 By incentivizing fishers to combine quotas and reduce the number of vessels fishing, the Sector program has created a better balance between effort and quota. Within the groundfish fishery, groups of vessel permit holders (at least three vessels per group) can voluntarily form a Sector, thus agreeing to fishing measures and procedures in exchange for a share of the annual catch limit (ACL). Sectors can divide the total quota from all members between vessels as they see fit, reporting their catch to the National Marine Fisheries Service (NMFS). This is accomplished in part by relying on At-Sea Monitors (ASMs) to collect data on the catch, discards, and protected species interactions with fishing gear. MRAG America s has a contract with NMFS to provide ASMs onboard domestic fishing vessels to observe and document information related to commercial fishing operations. These ASM contracts began in April 2010 and the current one runs through April 2019. Sectors began paying for the program in late March of 2016. 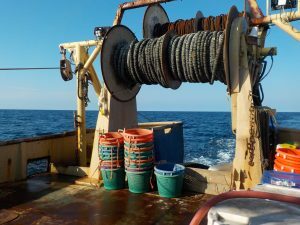 ASMs collect data on catch, discards and bycatch while deployed on U.S. domestic fishing vessels participating in the groundfish fishery from Maine to New York. Vessels employ handline, longline, trawl and gillnet fishing gear. ASMs are randomly assigned to vessels to ensure that coverage is fair and evenly distributed throughout the fleet. ASM’s are hired by MRAG Americas. NMFS provides the training and certifies Observers at the Fishery Observer Training Center in Falmouth, MA. This facility is part of Northeast Fisheries Science Center’s Fishery Sampling Branch (FSB) and provides program management, Observer training, data editing and data management. MRAG works closely with NOAA/NMFS to deploy and support the ASMs. More information on sector management is available from the NOAA Fisheries Greater Atlantic Regional Office. Interested in becoming an At-Sea Monitor? Please visit our Employment Opportunities. In response to concerns that at-sea tuna transshipment operations constituted a gap in enforcement, in 2008 the Inter-American Tropical Tuna Commission (IATTC) adopted Recommendation [06-11] to establish an Observer program for transshipment on trans-pacific freezer carrier vessels transshipping tuna in the Eastern Pacific. This program is similar in structure to tuna transshipment Observer programs run by other tuna Regional Fisheries Management Organizations (ICCAT and IOTC). MRAG A mericas has been implementing the Regional Observer Program (ROP) since its inception in January 2009. The ROP aims to address Member State concerns regarding laundering of Illegal, Unregulated and Unreported (IUU) tuna catches by monitoring transshipments at sea from Large Scale Longline Tuna Vessels (LSLTVs) operating in the Convention Area. Recommendation [06-11] states that all tuna and tuna like species transshipped in the Convention area must be done so in port. However, at sea transshipments can be authorized by Contracting Parties provided the Carrier Vessel (CV) has VMS capabilities and a trained IATTC observer is on board to monitor the process. MRAG manages all aspects of the IATTC Observer program, including Observer recruiting, training, outfitting of gear, coordinating deployment and return, debriefing and the collection, processing and transmittal of data. MRAG developed the data collection, forms, sampling protocols, data management and debriefing protocols. Observer deployments last between two weeks and several months from ports such as Papeete, Majuro, Kaohsiung, and Shimizu and monitor the tuna offloads from Large Scale Tuna Long Line Vessels (LSTLVs). MRAG averages 2,200 deployed days per year, with effort peaking in October. MRAG has cultivated a high quality Observer roster for the IATTC program, with the 15 active Observers averaging more than 2,000 seadays apiece. The Alaska Department of Fish and Game (ADF&G) administers the Alaska Shellfish Observer Program. Starting in 1988, the state began to collect data on the crab fisheries within the regions of the Gulf of Alaska and Bering Sea that fall within the US Economic Exclusive Zone (EEZ). Vessels were selected based on type of fishery and type of processing. Early on the ADF&G program was primarily an enforcement tool, however in recent years and following the rationalization of the crab fisheries (assigning quota shares to reduce fleet size), the program has shifted focus to the biological assessment of the fishery stocks. Observers are assigned to Opilio Tanner Crab (snow crab) and Red King Crab catcher vessels based on a random drawing to achieve a 20% coverage level. These fisheries occur traditionally from January to April and October to November, respectively. Observers are also placed on 50% of fishing effort in the Brown King Crab catcher vessels west of Dutch Harbor and 100% of vessels directly fishing for Bairdi Tanner Crab. Observer coverage requirements also exist for the Korean Hair crab and Blue King Crab fisheries, however, low stock levels have kept these fisheries closed in recent history. Working in Alaskan waters is often physically and mentally demanding. Rough seas are common, initial bouts of seasickness are very uncomfortable for many people, and the environment can be cold, wet and unpleasant. Vessel lengths range from 60 ft to over 300 ft. Living and working conditions on board vessels can be relatively cramped. On many vessels, fishing takes place 24 hours a day, while some vessels are equipped to go out to sea for longer than a month, the majority of trips typically last from one day to two weeks. An Observer’s work schedule follows the vessel’s fishing practices and is often erratic and unpredictable making it difficult to adhere to regular sleeping patterns. A typical day’s activities include heavy lifting (up to 80 pounds), climbing ladders, and working on rolling slippery decks. While at-sea and in Alaskan fishing ports, there is minimal access to amenities such as phones, computers and mail. MRAG Americas ran the Northeast Fishery Observer Program (NEFOP) from April 2012 through March of 2018, completing in excess of 18,064 Observer days on US vessels operating between Maine and North Carolina. MRAG Americas has also participated in the Alaska Marine Mammal Observer Program in conjunction with the NMFS Protected Resources Division in 2004 and 2005 and the NMFS Alaska Groundfish Observer Program from 2005 to 2017. From 2010-2013, MRAG contracted with vessels to provide Observers for the West Coast groundfish trawl fishery in Washington, Oregon, and California. In 2006, MRAG became the exclusive provider of Observers for the Longline Tuna and Swordfish Fisheries in Hawaii and American Samoa, this contract has since expired. MRAG also provided Observers for small programs such as the Halibut Characterization Project working with early Electronic Monitoring. Other small projects occurred in New South Wales Australia and the U.S. Virgin Islands. Project Summary: The fisheries of the Northeast Region, managed by the New England and Mid-Atlantic Fisheries Management Councils, represent a wide variety of target species, fishing operations, and public interests. These fisheries are subject to Observer coverage to collect data on fishing activities and bycatch interactions. 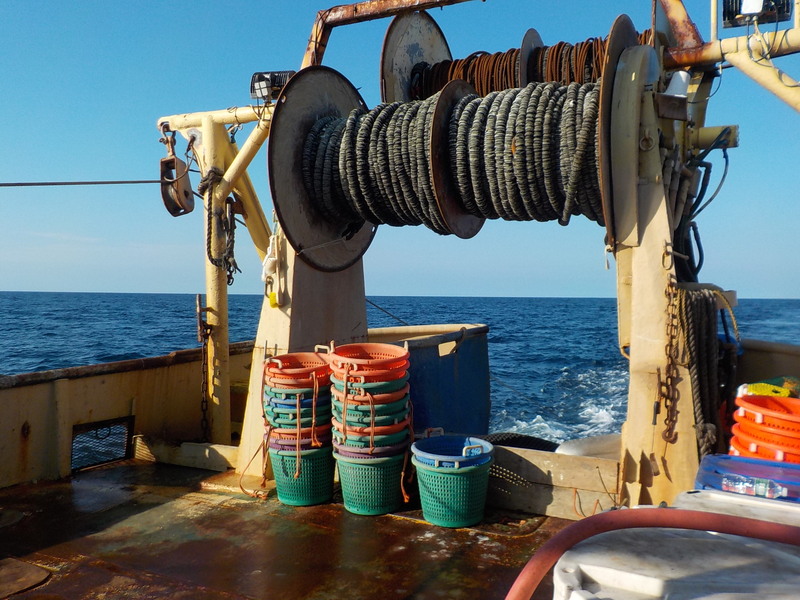 The Northeast Fishery Observer Program (NEFOP) collects, maintains, and distributes data on fisheries in the northwest Atlantic Ocean for scientific and management purposes. Fisheries Observers are recruited and deployed through an independent third-party provider. The NEFSC Fisheries Sampling Branch maintains responsibility for overseeing Observer training, sampling, data, and providing data summaries to support quantitative evaluations of various management measures. NMFS awards a multi-year contract to a single provider, such as MRAG Americas, to hire and operate the daily aspects of the Observer program. Project Summary: MRAG worked with Archipelago Marine Research as EM service provider to install and service EM imaging equipment on groundfish vessels from Cape Cod to collect data and refine proposed EM standards in preparation for a comprehensive EM program to monitor sector utilization of annual catch entitlements (Catch Shares). This program was funded by the National Fish and Wildlife Foundation (NFWF) to support EM implementation in FY16 and the development of protocols for estimating vessel-specific discard rates. The Nature Conservancy worked closely with NMFS staff from GARFO, NEFSC Fisheries Sampling Branch and MRAG comparing electronic monitoring results with human observers coverage to test the feasibility of ground fish vessels throughout New England using approved EM systems to meet their catch monitoring obligations. Project Summary: As the American harvest of groundfish resources replaced the foreign and joint-venture fisheries, domestic Observer programs were implemented to provide biological data in place of the former database provided by the Foreign Fisheries Observer Program. Currently all vessels over 60 feet require some level of Observer coverage, this falls into two categories; vessels under 125 ft in length require 30% coverage of fishing days and vessels 125 ft or greater require 100% coverage. Some vessels must carry two Observers while fishing under the American Fisheries Act (AFA) or Community Development Quotas (CDQ). In addition, Observers are required at shore-side plants harvesting or processing groundfish species within the US Economic Exclusive Zone (EEZ, 3-200 miles offshore). Project Summary: The National Marine Fisheries Service awarded MRAG Americas the 2005 contract to supply monitors of the salmon fisheries of Kodiak Island, AK for fishery interactions with marine mammals and seabirds. These salmon fisheries occur in remote locations, and require complex deployment plans to assure availability of monitors to meet coverage levels. MRAG provided staffing, logistics, management, safety protocols, and reporting of each phase of the program. 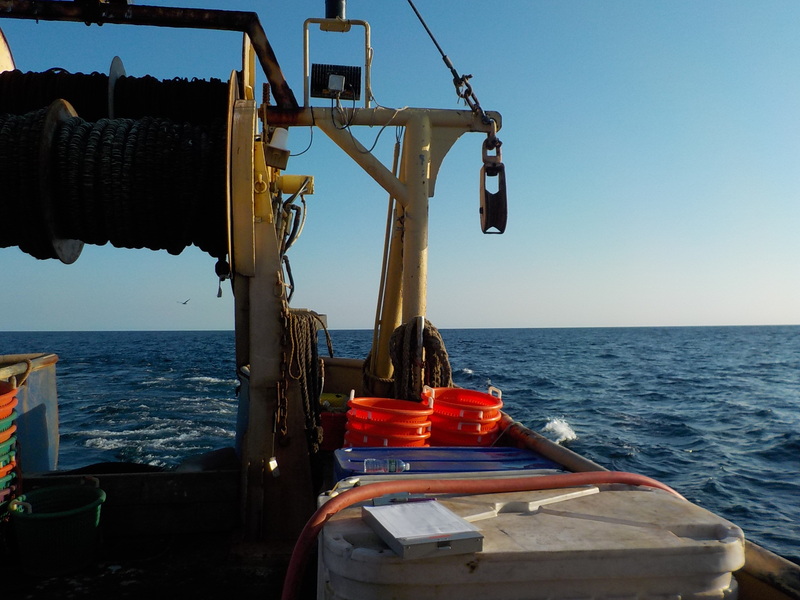 Project Summary: MRAG contracted directly with vessels to provide at-sea and shoreside monitors for the 100% coverage required in the Trawl IFQ program from Washington to Southern California. 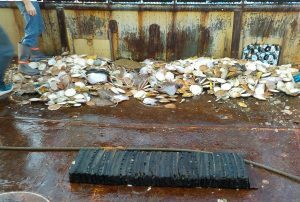 Observers were required to identify, count and weigh all discards at sea and whole haul the retained catch at the shoreside processor. Trips were 1 to 5 days long and vessels ranged from 30 to 80 ft in length. MRAG focused efforts in Charleston/Coos Bay, OR but provided Observers throughout the program area. Project Summary: MRAG coordinated with NMFS, the Halibut Commission, Pacific states, and Archipelago Marine Research to provide Observers to collect data for comparison to Electronic Monitoring images collected by Archipelago camera equipment. One to two Observers were deployed on Halibut IFQ vessels in the Gulf of Alaska and Bering Sea. MRAG also hired several Observers to complete data entry for the program. Fisheries Observers work on board active fishing vessels. The work can be demanding and requires Observers to be self-motivated, able to diplomatically perform duties, collect the required data in trying situations, all in potentially harsh weather. An Observer must be flexible and creative as conditions, situations, and duties vary from vessel to vessel, and fishery to fishery. Observer contracts differ with each Fishery Observer Program. Initial contracts are typically for three to four months, although some programs requires a full year commitment. After the initial contract period, there are typically seasonally dependent shorter periods of work. Observer opportunities are available primarily from October through April in the Alaska Shellfish fishery and from August to March in the IATTC program. Northeast (US) fisheries are active year around. We are looking for motivated, responsible people interested in working multiple contracts over a year or more. MRAG Americas believes in mutual aid and teamwork between management and employees and works hard to support all employees. In the ever-changing world of commercial fisheries management, Observers are the front line. Our staff has been involved with Fishery Observer Programs for many years as Observers and Program Coordinators. We deal with our employees in a fair and equitable manner. We are an equal opportunity employer and we offer competitive pay and benefits for qualified employees. All Fisheries Observers are expected to perform the following duties during the length of the employment contract. These procedures will require Observers to have strict personal time-management skills to complete during long and unscheduled hours. Recording information on interactions with protected species, such as sea turtles, porpoise, dolphins, whales, and birds. Fisheries Observer pay is based on a daily rate for at-sea time and may be eligible for additional land hours to include travel and debriefing. Observer pay is commensurate with experience, with raises based on seadays completed. MRAG provides a comprehensive benefits package that includes holiday pay, monthly bonus opportunities, vacation (after one year in the program), sick time, employee medical coverage, including critical care, vision and dental coverage, are available at reasonable rates. For more information on required qualifications and benefits please visit our Employment Opportunities. Our ability to service an extensive array of resource management needs is further extended through our network of collaborations with internationally acclaimed experts from academic institutions and other private organizations worldwide. MRAG scientists are highly published in peer-reviewed journals and symposium proceedings, have presented invited papers at international meetings, and write large scale reports for governments and NGOs.